SudS SudS SudS – Why Am I Getting This Message From My Whirlpool Front Load Washer? Your Whirlpool front load clothes washer is an impressive piece of technology. 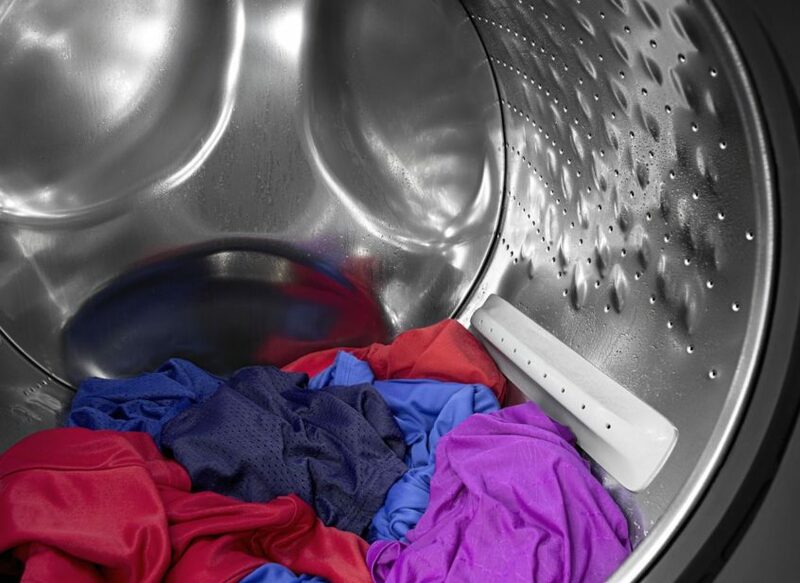 The processing power employed to give you the best wash and fabric care is unsurpassed. The only downfall is the consumer. A whole generation grew up seeing Bugs, Porky, and Donald using washing machines to varying degrees of failure. The most memorable was “I Love Lucy.” New York housewife, Lucy Ricardo has a most terrible time operating the washing machine. Her level of ineptitude is classic comedy, and helped formulate what we expect from our washers. Bubbles, we want lots and lots of bubbles. Energy Star is a federal mandate that placed minimum energy-saving benchmarks on appliance manufacturers and offered incentives for additional efficiency performance. Your Whirlpool front loader has met and exceeded those minimums and still provides you with a superior wash. hE detergent is required to obtain these results. The amount of detergent required depends upon the concentration and type of your HE detergent. 2X, 3X, 4X, 5X, 6X, and 8X are all available for liquid detergents and you should use 2 tablespoons down to 1 1/2 teaspoons for a load respective of the concentration. This is sometimes less than the detergent manufacturer suggests. Your dispenser drawer has a line indicating the “MAX” level of product, but this is not how much you should use. That tiny, little dribble that seems like it’s not enough is enough. If your unit is equipped with a Load & Go™ cartridge, program your detergent’s concentration into the washer and go. It will automatically inject the proper amount of detergent. Powder detergents are not recommended by Whirlpool’s engineers. Powder capability in the dispenser drawer is provided because the customers demand it. Your hE powder detergent usually comes with a graduated measuring cup. Measuring devices are brand specific, and each detergent formulation is different. Use less than the detergent’s manufacturer wants you to use. Premeasured detergent pods should never be placed in the dispenser drawer and only placed in the wash tub before loading your clothing. Clean your washer with an Affresh tablet monthly if your washer doesn’t alarm you that it’s needing attention. Remember to wipe down the door gasket after laundry day is done. Leave the door slightly ajar when not in use. Your machine will give you years of trouble-free use until your kids use it. At that point you’ll need to call your Whirlpool Preferred Service Provider for Austin and San Antonio, Appliance Express. A Certified Factory Care technician will come to your house and fix what ails your appliance.